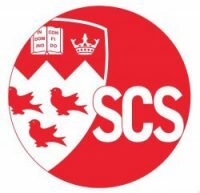 I'll be Guest Lecturing (again) at McGill University | Socialed Inc.
For the 3rd time, I’ve been invited to guest lecture at McGill University‘s School of Continuing Studies. And once again, I’ll be guest lecturing to students enrolled in their Current Trends in Digital Communication course, taught by none other my friend and colleague Michelle Sullivan. The goal of this guest lecture (this upcoming Sept. 23rd) will be to provide students with an understanding of what SEO is, and how they might apply toward their current marketing goals. In a nutshell, then, they’ll be able to walk back into the job next Monday morning, and start identifying immediate SEO opportunities that their business has been missing out on. Overall, I’m pretty stoked. McGill University is my alma mater, so it’s always a great honour to be invited back as a lecturer. My time there opened so many door for me, and I look forward to being able to contribute to experience of some of its current students. Always a pleasure to have you Chris – a guest lecturer my students always enjoy. See you on Saturday!